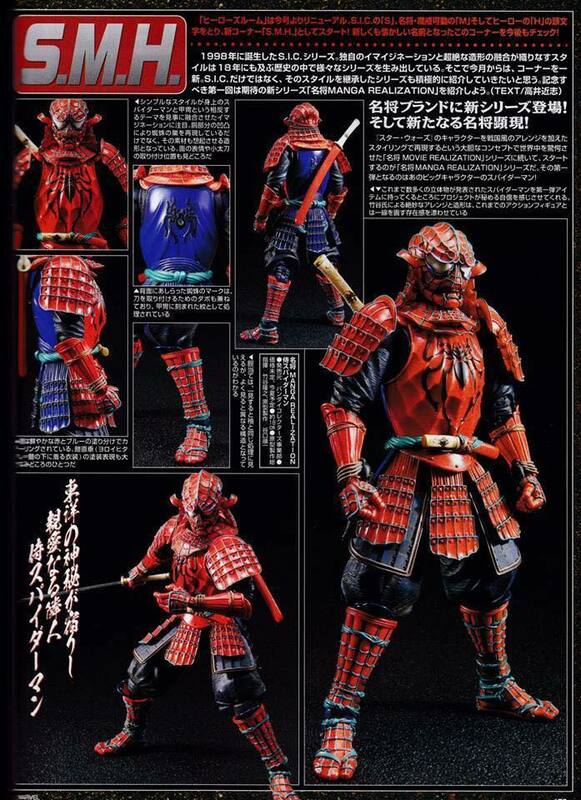 A new magazine scan gives us an updated look at a figure we haven’t seen in some time. Back in November, we reported on a new Marvel Movie Realization Spider-Man figure from Tamashii Nations. At the time, we didn’t have much info. Sadly, as I don’t read Japanese, I still don’t have much info to share. However, we do have a great look at the upcoming Spider-Man figure. The line may potentially be called “Manga Realization“. I’ll update when new info hits. You can see the scan by clicking the thumbnail. Think it worked for star wars but not feeling this at all. pass for me. 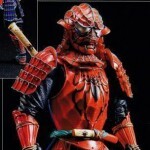 If he's a supposed to be a samurai then why does he have a grapple hook? I'm sorry but I don't get it. 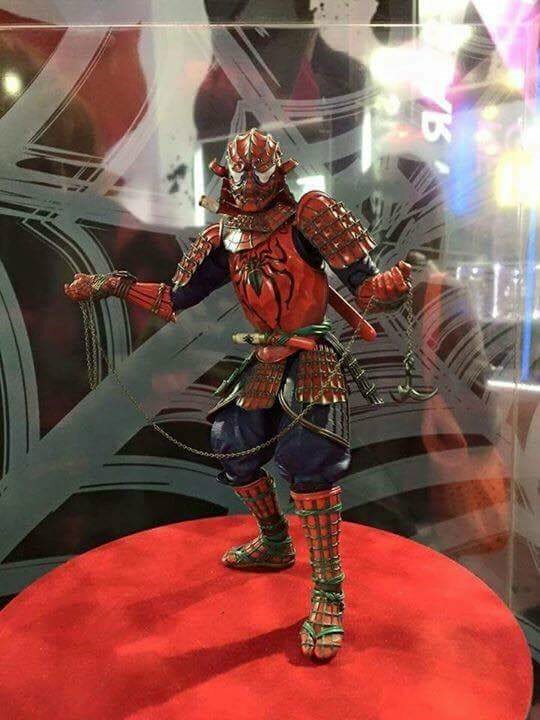 Why is Spider-Man a samurai? Is this something similar to the PAK Variants? I'm kind of somewhat awkwardly digging this ,I don't know why. Maybe it's the Spidy colors. Now if this was Batman I would be hell yeah. Batman would make more sense. At least it would to me. Not liking it..... would have made more sense if it was spidey in a medieval age knight armor, considering there was a spidey like that. Absolutely agree! They did so well on the Star Wars line, but missed the essence of the character on this one. i haven't been a huge fan of these figures. i mean, they're cool, but just not for me. this on the other hand looks awesome. i'd love to see a venom as well. They work really well for Star Wars because its military. I'm not so sure about superheroes. Not something I'm intersted in, but I give them an A for originality. The Star Wars stuff looks more legitimate. On second thought I do see the potential. Spider-man is just a bad choice. It would made more sense if they made him as a ninja. ninja were samurai. ninja were not assassins. samurai used kaginawa "grappling hooks", whats depicted is closer to a nage ikari, which is a throwable boat anchor. I don't know why, but I really like this concept. When's it supposed to be released?